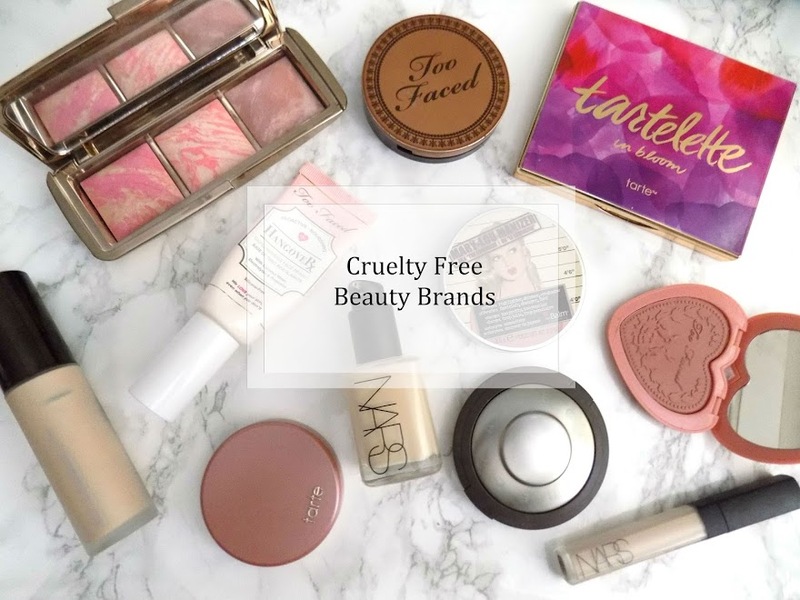 If you missed yesterday's July faves post, be sure to go and check it out to see the products I have been using and loving this month. Today's post is to go through some particular things I have done a lot this month and thought were worth a mention. Plus, there was a lot of products in yesterday's post so I didn't want to overwhelm you with even more. 1. Okay, it's officially summer, meaning that legs and arms are on show and shorts have made an appearance, even if I was some what relecutant with the latter. But anyway, blindingly white legs in the summer is just not a good look. For anyone. So I have been trying out some self tanners recently. Self tanning is something that always scared me as the risk of looking like I've been tango'd was just to high of a risk to take. But with the right products and the right techniques, it has become a regular occurrence. My favourite self tanner for the body is the St Tropez Express Tan, which you apply and leave on for 1, 2 or 3 hours, depending on how dark you want your tan. Then, you wash it off, and you're good to go. This will continue to develop through the day/night but it's such a quick fix and super easy for us self tanning noobs. 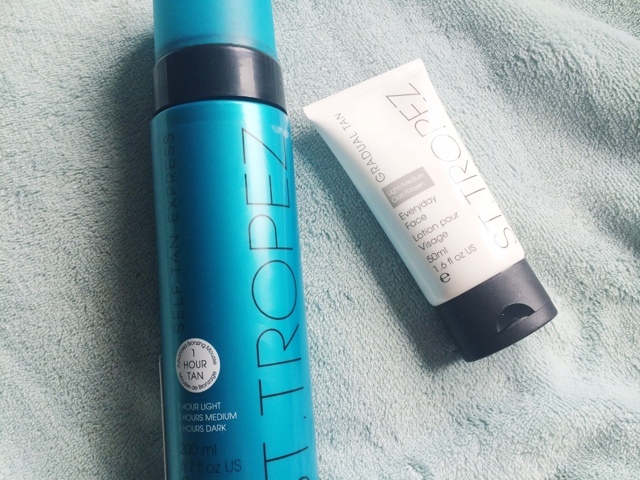 For the face, I have been using the Gradual Tanner from St Tropez which I am really impressed with so far. 2. Contouring and bronzed skin has always been a mystery to me. Before I really knew how to do it and what it was for. I always thought people just did it to be more tanned. But that's not just it. Once I understood the concept, I began looking for ways to incorporate it into my makeup routine and the contour powder I have been testing out and loving is the NYX Powder Blush in Taupe. This is the perfect shade to create shadow and really sculpt the face. I have done this every day I have worn makeup, even if it's just a light contour, and I really like how it makes my face look and I am definitely a contouring convert. 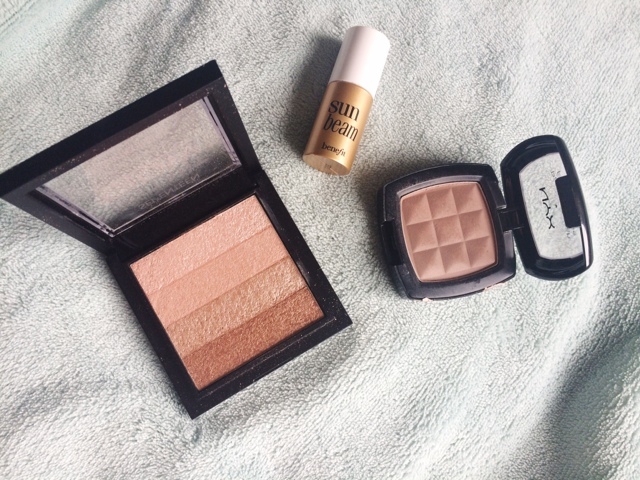 For the bronze-y glowing complexion you know how much I love my The body Shop Honey Bronzer which I still love, but for the highlighting aspect of bronzed skin, the Benefit Sun Beam and the Seventeen Shimmer Brick have been my go to's to get the perfect bronze, contoured, glowing complexion. 3. This month has also seen my winged line phase pop up again,pretty much every single day I have worn a winged liner of some sort. 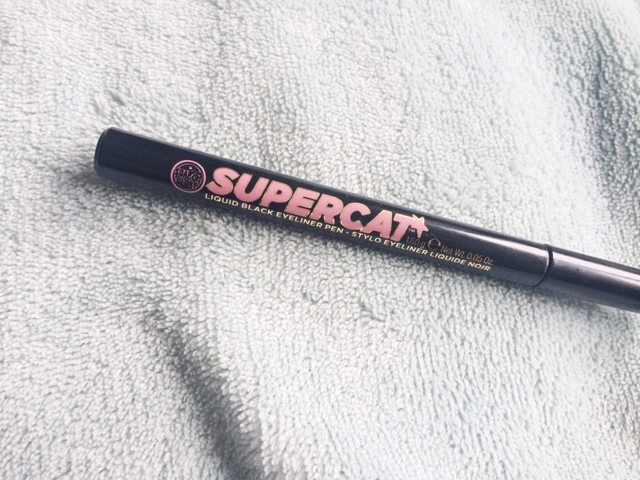 My to to at the minute is the Soap & Glory SuperCat Liner but to be honest, a black eyeshadow, gel liner or a liquid liner are all suitable, I just prefer this particular one at the minute. 4. Up next is something which isn't particularly good for my hair but is someone I have liked doing this month, which is curling my hair. I have always wanted loose curls which just look effortless yet classy. I haven't got it down 100% but I'm practising and I just really like how it looks. I have to make sure I use the right products to protect my hair as much as possible and using an oil like the Beauty Protector Oil really does some brilliant things. 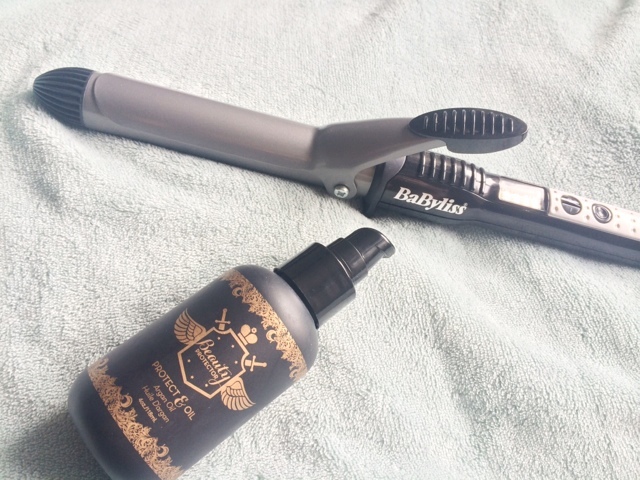 The curling wand I have is the Babyliss ProCurl with a 20mm barrel ?? This makes it so easy and fast and although I have burnt myself more times than I can remember and probably don't have any fingerprints left, I still love how it looks. 5. A pretty random thing now, nothing beauty related, but something I have loved doing for a very long time. I'm talking about drawing. At first it was just a few sketches to get myself back into it as it had been years since I had picked up a pencil to draw something. But now I am confident enough in my drawing skills (although I'm still practising) I have really enjoyed it and it very relaxing and soothing. 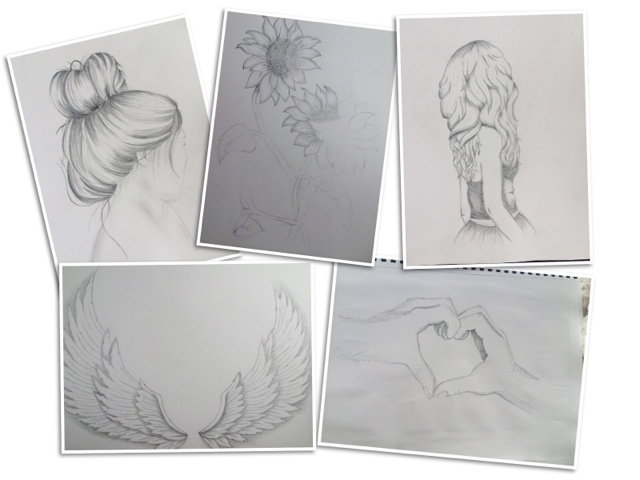 I have spent hours everyday just sat drawing and the time has just flown by. I hope I don't stop and have another 5 years without drawing. I really enjoy it again. 6. Finally, is two TV series'. C'mon you didn't think I was going to get through this post without mentioning the TV series' I have been hooked on this month. 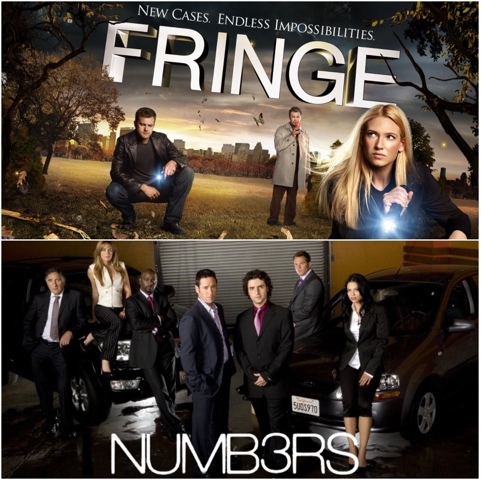 Fringe is an amazingly gripping, mind boggling series which I am just obsessed with. I'm not even going to try and explain it, but you need just a hint of imagination and open minded-ness and you'll probably love the series as much as I do. Then in the last two weeks of the month Numbers has just completely blown my mind. Some more FBI agents doing some incredible things. Both are available on Netflix so I highly recommend going and checking them out. Hope you liked this kind of post. 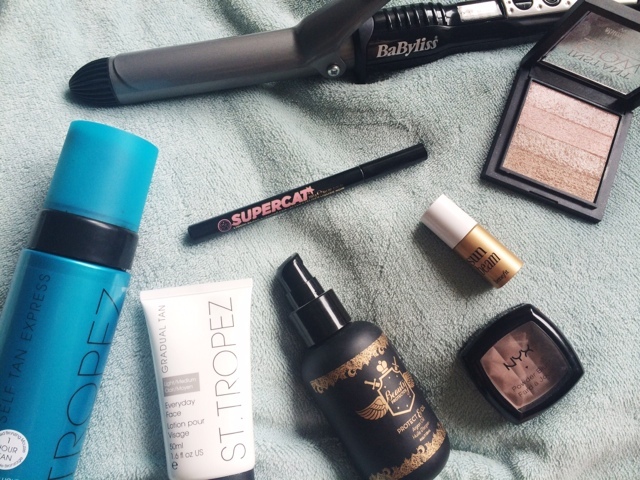 Go check out yesterday's July faves post if you haven't already. Can't believe it's August already so we best make it a good one. What TV series have you been loving recently?